Protecting one’s family and home is an even bigger challenge today, with crimes no longer limited to the streets and technology making it easier for criminals to break into homes and private properties. D-Link International Pte Ltd, a leading global supplier of networking products, has released a smart home security solution, the DCS-960L HD Ultra-Wide View Wi-Fi Camera that will give homeowners everywhere the peace of mind that they deserve. 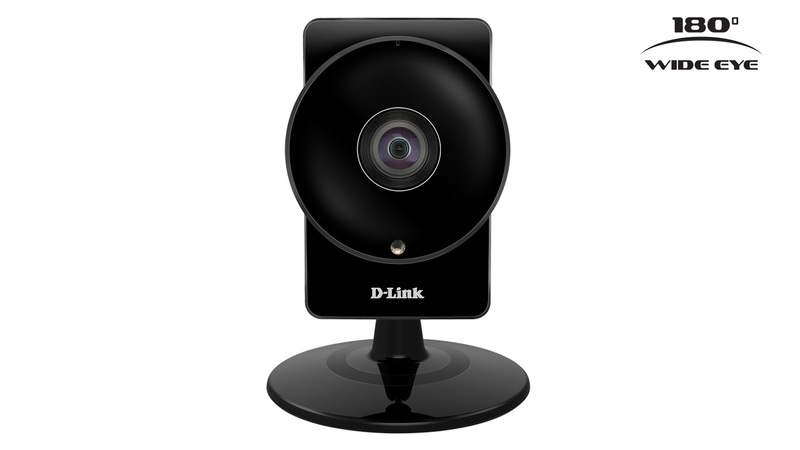 D-Link’s DCS-960L Wi-Fi Camera makes 24/7 home monitoring a reality. Unlike conventional cameras, the DCS-960L boasts an ultrawide lens to enable a 180-degree field of view, ensuring wall-to-wall full coverage of an entire room with just a single camera. Its built-in IR LEDs provide night vision for up to 5m even in complete darkness. Together, these features allow homeowners to know what is happening in their homes day or night, whether it be making sure the children are safe alone during the day or checking for intruders at night. With the DCS-960L’ s high-quality 720p HD CMOS sensor, captured images have not only clear but also richer details. The videos are likewise free of distortion, thanks to the camera’s unique de-warping technology designed to optimize video quality. To suit different resolution requirements, the video files may come in 1280x720, 800x600, 720x480, 640x480 and 320x240-pixel resolutions at up to 30fps frame rate. The audio adopts AAC and G.711 compression formats. Streaming HD videos from the DCS-960L camera for viewing and checking will not take forever. Accessing the device from anywhere in the home will not be a problem either. The DCS-960L has built-in Wireless AC and takes advantage of the latest Wi-Fi technology to give you a high bandwidth connection to your router for streaming HD video from your camera, and improved range for more flexible placement. The camera’s 802.11AC platform is also backward-compatible with 802.11n/g/a and supports WPS, UPnP and DDNS. The HD Wi-Fi camera is also designed for quick installation anywhere in the home. Its flexible design and rotatable head allow for mounting on the wall or even the ceiling. Compact and light at 137.5x95.8x95.8mm and 165g, the device can be mounted by just one person. The camera features 8x digital zoom, 1.72mm focal length, F2.0 aperture and 0 lux with IR LEDs on minimum illumination. In low-light conditions, the built-in light sensor determines if IR LEDs are needed. In addition to the image size, users can adjust the image quality, frame rate and bit rate. Brightness, saturation, contrast, sharpness and hue can be adjusted as well. Still images are saved in JPEG format, while video recording uses simultaneous H.264/MJPEG compression. For file management, images can be given time stamp and text overlays. The DCS-960L doubles as a motion and sound detector for best-of-class home security. Users can preset volume limits and areas to monitor for motion. The camera will send an email alert with snapshots or video clips if it picks up a loud sound or detects motion. These snapshots or video clips can be saved on a microSD card. Local recording based on event triggers can also be done through an SDHC or SDXC card. Homeowners can access the DCS-960L camera anytime and anywhere, even from outside the home. Parents can now check on their kids even while at work or away on a business trip through the mydlink mobile app. The app can be used for free on iOS, Android and Windows platforms to enable remote viewing and monitoring. With a reliable surveillance camera such as the D-Link DCS-960L, users can now sleep soundly each night knowing that their homes and loved ones are safe and secure even when they are away.